The Will Eisner Companion. Buy at Amazon. 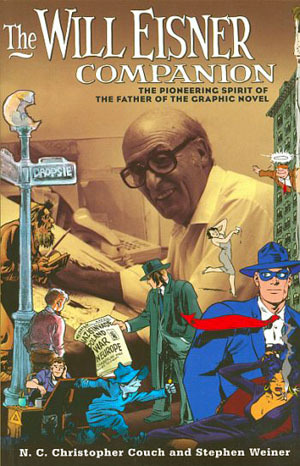 The Will Eisner Companion (2004) by N.C. Christopher Couch and Stephen Weiner is the first comprehensive, authorized overview of the work of this comics master. The companion features encyclopedic listings of characters from The Spirit as well as Eisner's graphic novels. It also contains critical and historical essays by the authors as well as two newly recolored reprintings of the classic Spirit story 'Gerhard Shnobble' and the retelling of The Spirit's origin from 1966. Published by DC Comics and featuring an introduction by Denny O'Neil and an afterword by Denis Kitchen. Visit the DC Comics page on this graphic novel.